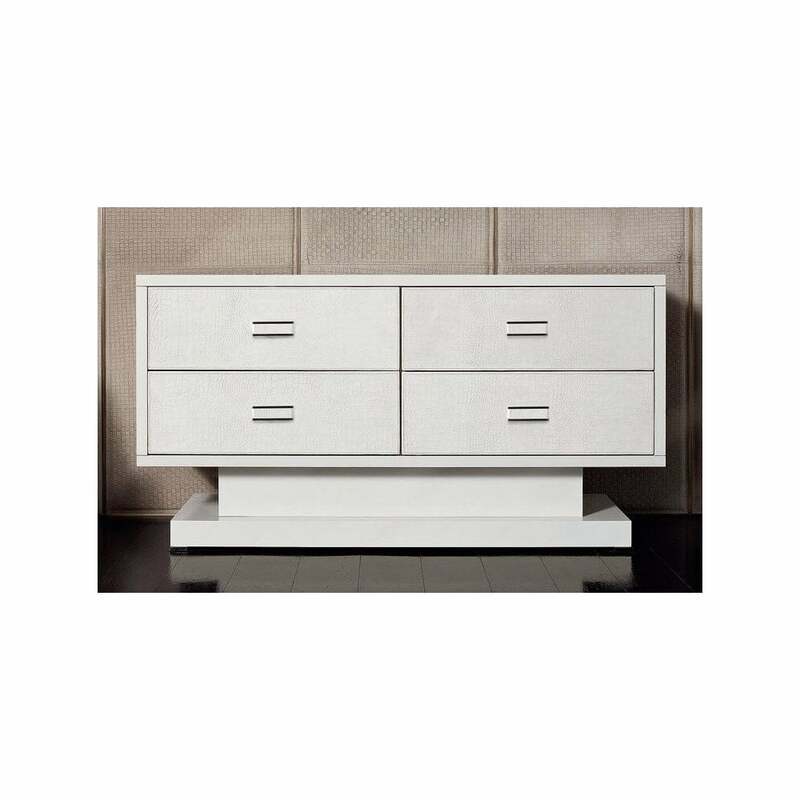 Inspired by Art Deco design, the Parigi 4 Chest of Drawers is part of the ‘Night’ collection by Rugiano Interiors. Upholstered in the finest Pelle and lacquered leather, the drawers are completed with complementary leather handles. Fitted with four deep drawers in a striking quad design, the frame stands on a sculptural plinth that is hand-crafted from ebony or lacquered wood. Ideal for storing clothing and accessories, pair with other pieces from the Parigi bedroom range for a cohesive interior scheme. Available in a choice of finishes in two sizes, get in touch with our team to discuss bespoke options.